The land of West Bengal is filled with every kind of wonder, ranging from natural marvels to historical beauties. Duarsini is one such natural marvel in the state of West Bengal which makes for a perfect weekend getaway from Kolkata. 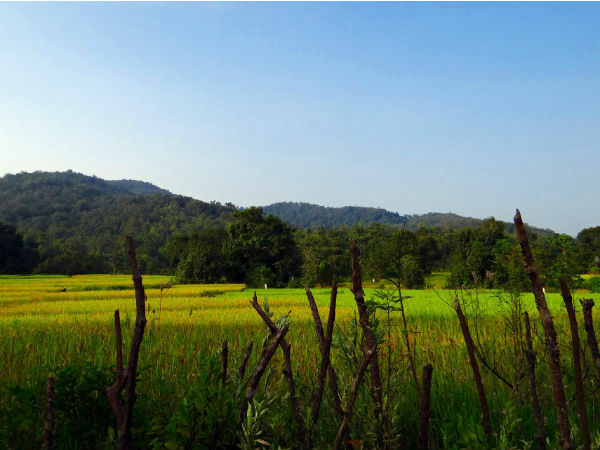 Covered with lakes, hills, farmlands and forests, the land of Duarsini is one of the richest parts of the state and is inhabited by tribal groups. Would you like to experience the grandeur of Duarsini while exploring its rich corners? From visiting rural areas to spotting wildlife, there are a lot of things to do within the boundaries of Duarsini. Read on to know everything about this wonderful place and what all can be visited and savoured here. As the climatic conditions remain favourable throughout the year, Duarsini can be visited anytime. However, if you desire to enjoy the beauty of Duarsini at its summit with each and every corner covered with lush green vegetation, then the best time to visit Duarsini is from October until the end of April. By Air: The nearest airport from Duarsini is situated inKolkata at a distance of about 270 km. From the airport, you can hire a cab to Duarsini. By Rail: Trains are not available between Duarsini and Kolkata. However, you can catch a train from Kolkata to Ghatshila and then from there you can hire a cab to Duarsini. Ghatshila is located at a distance of around 240 km from Kolkata and 25 km from Duarsini. By Road: As the roads to Duarsini are in proper conditions, it is easily approachable by road. It takes an average time of 6 hours to reach Duarsini by road. Route 1 is preferable as it takes an average time of 6 hours to reach Duarsini from Kolkata, which is 1 hour lesser in comparison to other routes. On your way to Duarsini, you can take a break at Jhargram and witness its beauty hidden in palaces and forests. Jhargram is the perfect place en route to Duarsini from Kolkata as there is a lot to explore within its boundaries. Home to palaces, forts and forests, Jhargram is believed to have been founded during the Mughal Empire and is located at a distance of 172 km from Kolkata and 92 km from Duarsini. Even though there are not many historical places from the Medieval Period of India, there are certainly historical places which can allure you to visit them again and again. The major historical places in Jhargram include Jhargram Palace, Kurumbera Fort, Umapati Temple and the Temple of Sabitri. Due to the presence of forests, Jhargram also nurtures several species of wildlife and vegetation. The Deer Park located in the town is the major natural place which is visited by thousands of tourists every year. Located at an approximate distance of 265 km from Kolkata, Duarsini has become a favourite weekend getaway amongst local tourists due to its close proximity to the major cities in West Bengal and on account of its natural environment filled with country life. Surrounded by small hills covered with the green carpets, Duarsini also hosts Satgudum, the mountain river, which helps in enhancing the attractiveness of the place. So, are you ready to be on tracks leading to Duarsini to get yourself elevated and turn your surroundings into an atmosphere filled with liveliness? There are innumerable things to while in Duarsini. As the land is covered with forests and hills, the first and foremost thing to go for is certainly loitering around and exploring its corners. Being a tribal settlement, Duarsini also offers its visitors with the opportunities of experiencing a country life filled with ultimate peace and stillness. The major villages which can be visited in and around the region of Duarsini include Kheriya, Munda and Santhal. Regarding the wildlife in Duarsini, you can spot several rare and endangered species as well in its forests. Wild bear, hyena, wolf, elephant, and certain species of birds can be found here. If you desire to explore more and stay at Duarsini for a long period of time, then you can also visit Galudih and Bhalo Hills.